Life Insurance Approval with Diabetes Insipidus! 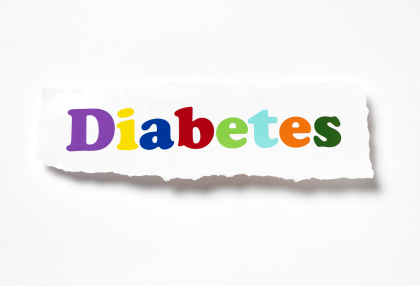 Can’t find affordable life insurance with Diabetes Insipidus? Can People Who Have Diabetes Insipidus Be Approved for Life Insurance? Yes, most individuals with Diabetes Insipidus will be able to qualify for traditional life insurance, the type of insurance which requires a medical exam. Best Case Scenario – Most cases of Diabetes Insipidus especially those that are detected and managed early does not pose any immediate danger to health. No symptoms of dehydration or fatigue will manifest, if fluids and electrolytes in the body are maintained within normal limits. Most of these cases get a “Standard” rating. Click here for quote at “Standard”. Moderate Case – Those cases, however, that are not controlled properly will show complications of dry skin and mucus membranes, unintentional weight loss or rapid heart rate. These cases are usually rated at “Mild Substandard” health class. Click here for a quote at “Mild Substandard”. 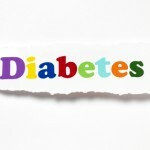 How many years have you been diagnosed with Diabetes Insipidus? Diabetes Insipidus is not a life threatening condition if detected and controlled early. But the symptoms and complications can become serious if not diagnosed early and not managed well. Symptoms such as dehydration, increased heart rate or easy fatigability may be flare signs, which may get you a “Mild Substandard” rating. Medications are important in the control of Diabetes Insipidus as it controls the hormones, and the fluids and electrolytes in the body. Failure to comply with the medications may result to poor control of the condition. This may get you a “Mild Substandard” rating. Recent diagnostic tests such as CT Scan or MRI of the head, and laboratory findings from urinalysis or urine volume are the best ways to assess your actual condition. This may also confirm your compliance with your physician’s management. Diabetes Insipidus, also referred to as DI is caused by the abnormal function of the hypothalamus. There are several causes of this condition including infection, presence of tumor, post-surgery, head injury or a sudden loss of blood supply to the brain. These causes result to a decreased production of the antidiuretic hormone (ADH), which controls the retention of water in the body. As ADH levels decrease it causes a large amount of water to be lost and the urine to be dilute. Symptoms of Diabetic Insipidus include excessive thirst and excessive output of dilute urine. Classifications of Diabetes Insipidus include neurogenic DI, nephrogenic DI, dipsogenic DI and gestational DI.